Four years after Sarah Palin famously accused then-candidate Barack Obama of “palling round with terrorists,” it can be said truthfully. Last Friday, news leaked that the U.S. State Department is going to remove the Iranian terrorist group Mujahedeen-e-Khalq (MEK) from its list of foreign terrorist organizations. MEK’s ideology is a mixture of Islam and Marxism with cult-like practices. The group once called itself “the People’s Holy Warriors of Iran.” They supported the Islamic revolution in Iran and later allied with the Iraqi dictator Saddam Hussein. During the 1970s MEK conducted numerous attacks on American officials, including an attempted assassination of the U.S. ambassador in Tehran. Six Americans were killed. It has been listed as a terrorist organization since 1997. The MEK fought in the Iran-Iraq War, made use of chemical weapons, and brutally put down Iraqi Kurdish people in the early 1990s. 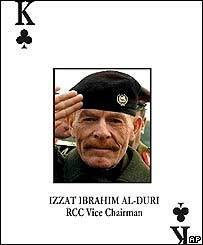 The Bush administration cited Saddam’s support of MEK as a reason to invade Iraq, and the group was forcibly disarmed by the U.S. Army. In recent years, the MEK is believed to be involved in a wave of terrorist attacks against Iranian nuclear scientists. The Obama administration’s decision was made with bipartisan support. MEK has many prominent U.S. political figures on its payroll, including Howard Dean, Rudy Giuliani, Wesley Clark, Bill Richardson, former Homeland Security Secretary Tom Ridge, former Attorney General Michael Mukasey, former FBI Director Louis Freeh, former U.N. Ambassador John Bolton, former National Security Advisers Frances Townsend and General James L. Jones, and former Pennsylvania Governor Ed Rendell. Note to all U.S. Attorneys: Everyone associated with MEK can be charged with providing material support for terrorism, a federal crime under the USA PATRIOT Act (18 U.S.C. §2339A and §2339B) punishable by 15 years in prison. Now that the United States has de-listed the MEK as an international terrorist group, our government can overtly fund them to conduct terrorist attacks on Iran. 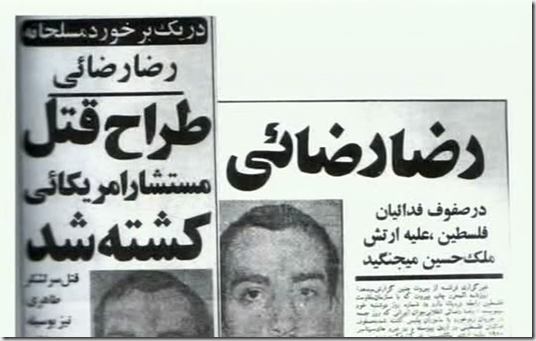 According to some reports, MEK has received covert U.S. and Israeli assistance for years. Granting that all these reasons are somehow justifiable to remove MKO from the FTO blacklist, the main question raised is why was the group ever put on the list? 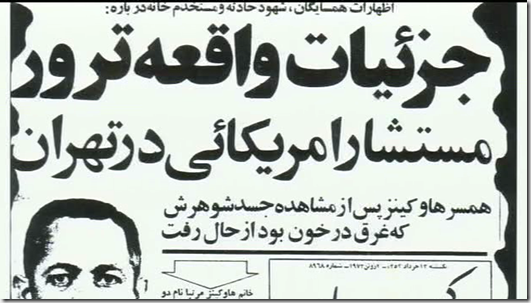 Maybe many Americans are unaware of the fact that MKO was initially formed as an anti-American militant group chanting anti-imperialist slogans and focusing all its might to fight and terminate any US-led economic and military enterprise in Iran at any price, even by murdering or sabotage activities. 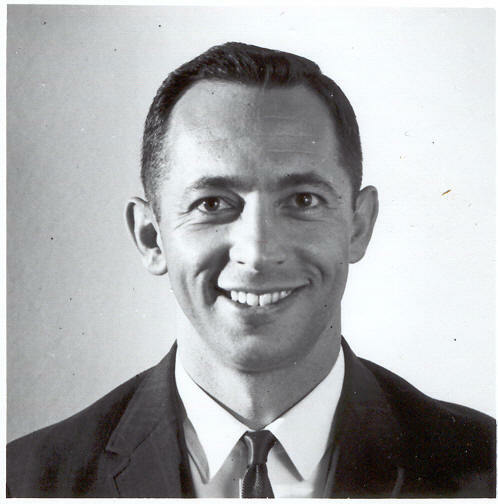 According to the recorded facts on which the State Department relied to blacklist MKO, regardless of carrying out decades of brutal terrorist attacks, assassinations, and espionage against the Iranian government and its people, the group had targeted a number of Americans inside Iran including the attempted assassination of USAF Brigadier General Harold Price, the successful assassination of Lieutenant Colonel Louis Lee Hawkins, the double assassinations of Colonel Paul Shaffer and Lieutenant Colonel Jack Turner, and the successful ambush and killing of American Rockwell International employees William Cottrell, Donald Smith, and Robert Krongard as well as attempted kidnapping of US Ambassador Douglas MacArthur II. The Iranian people need no justification for the US- made decision to delist MKO as they still and forever despise its ring-leaders as traitors and terrorists. But how the US can present any justification for the duplicity of unleashing the murderers of its own citizens while they were serving their country in another land is another question for the Secretary of the State to answer. Is it a new kind of policy to differentiate between American citizens? 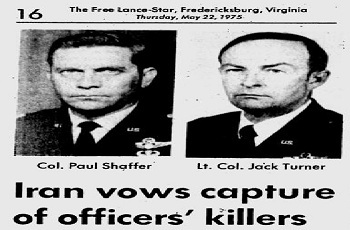 American people still remember, if the current and former officials have forgotten, that at the time an American military operation was attempted to put an end to the hostage crisis and to rescue the Americans held at the US Embassy in Tehran. Noteworthy, the hostage crisis was also intensified by the very same members of MKO who played their role to aggravate the situation to turn it into a real crisis. In its new version of policy, the US lets the killers and terrorists, according to released factsheets, free as a humanitarian bid! If that is how Washington insiders care for the nation, and if interfere in other countries is a priority over internal and national interests, then, in whom should American people trust for national security and protection? Iraq has denounced the United States’ plan to remove the anti-Iranian Mujahedin-e Khalq Organization (MKO) from the US State Department's list of terrorist organizations. 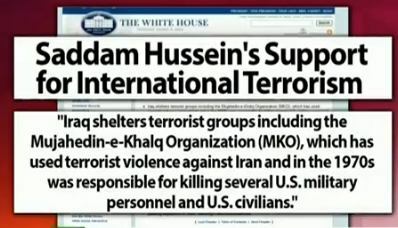 The MKO is listed as a terrorist organization by much of the international community, including Iraq, and has committed numerous terrorist acts against Iranians and Iraqis. 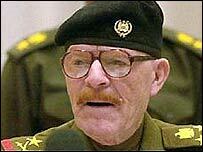 The group also cooperated with former Iraqi dictator Saddam Hussein in the massacres of Iraqi Kurds and in suppressing the 1991 uprisings in southern Iraq. The statement also said that Baghdad is determined to expel members of the terrorist organization from Camp Ashraf, and called on the United Nations to fulfill its commitment to resettle the group members outside Iraq. On September 21, US Secretary of State Hillary Clinton sent the US Congress a classified communication about the decision. "I am not in a position to confirm the contents of this, because it's classified, but we anticipate being able to make a public announcement about it sometime before October 1," State Department spokeswoman Victoria Nuland said later in the day. Two unnamed US officials said that the decision would be officially announced next week. 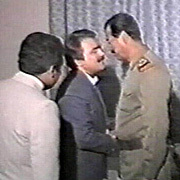 The MKO fled to Iraq in the 1980s, where it enjoyed the support of Saddam Hussein and set up Camp Ashraf in the eastern province of Diyala, near the Iranian border. According to US officials, there are about 1,200 to 1,400 MKO members currently residing at Camp Ashraf, while some 2,000 have relocated to the new base outside of Baghdad since February. Iran has repeatedly called on the Iraqi government to expel the group, but the US has been putting pressure on Baghdad to resist the calls.